The engine transmission package is installed in a transverse position at the front and drives the front wheels as in original model. The 1124 cc four cylinder produced 66 hp. Only the 13 inches wheels are different from the production model. The exceptional idea to reduce cost of production consists of using eight body elements that can be interchanged thus reducing tooling costs. The fenders are diagonally identical as are the front and rear hoods. Doors and side lower mouldings are equivalent on both sides. 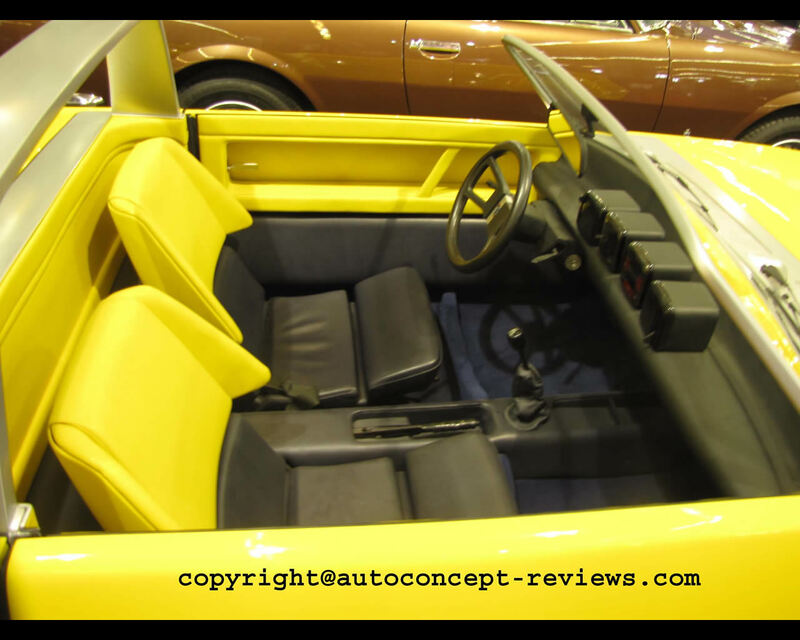 A roll bar allows the provide for easy weather protection by means of a small roof panel or just soft fabric cover. 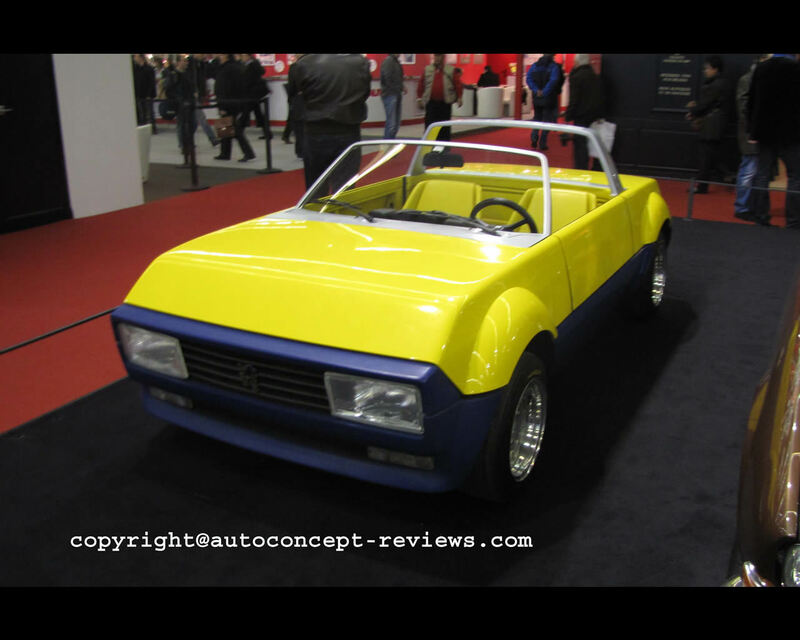 The Peugette could be operated as a pick up by removing the rear hood. This project is an example of simple and modular design. 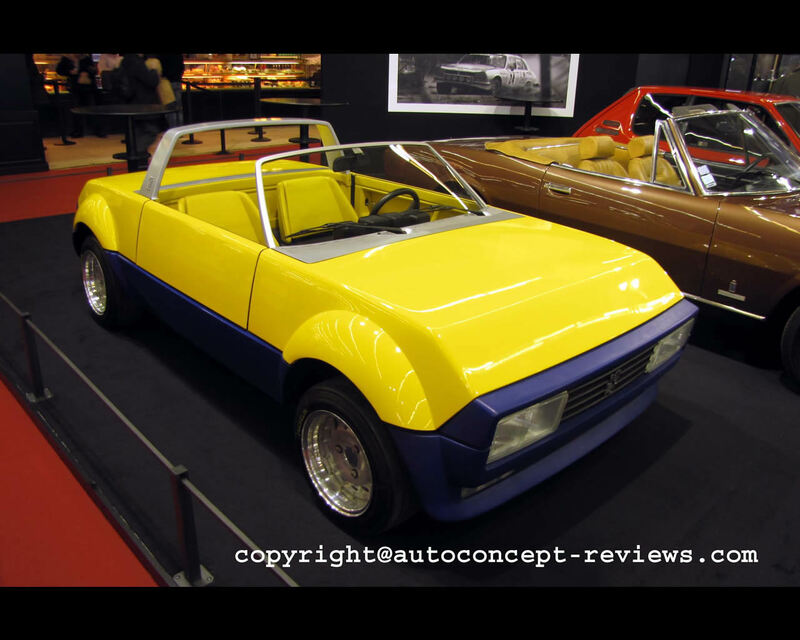 Apparently it did not fit the demand of the 1976 automobile market as it remained a one off model and is now at Automobile Peugeot Museum (Collection Musée de L’Aventure Peugeot). 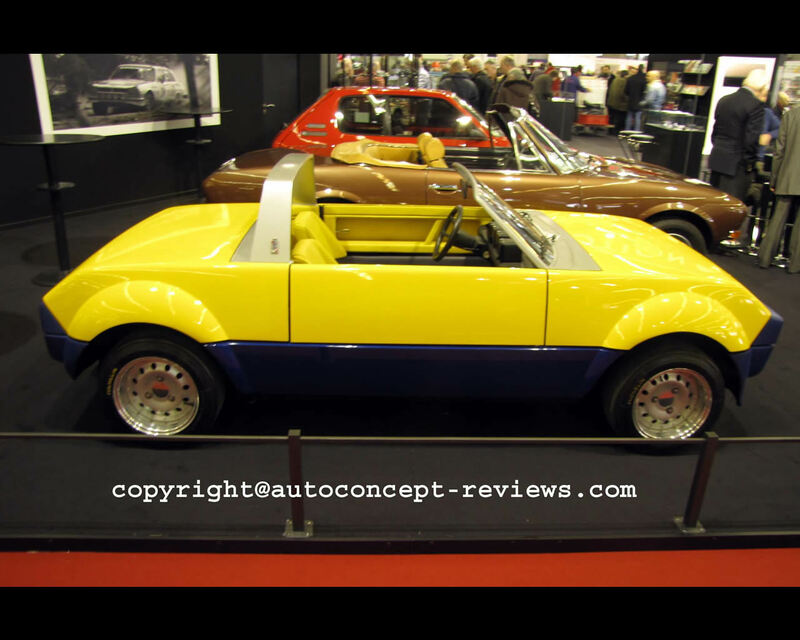 It was exhibited by Club 104 at Retromobile in Paris in 2011.